Rebel Minis gets your troops into battle quickly and effectively with the release of their Titan Warthog Dropship. In the pipe. 5 by 5. 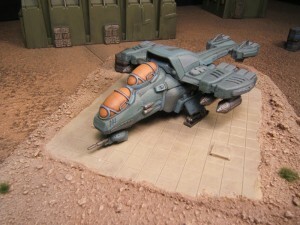 Rebel Minis is proud to announce the release of our new Titan Warthog Dropship. The Titan Warthog Dropship Kit contains enough parts to build a Titan Warthog Dropship with several different options. Example painted by Jason Moore @Micropanzer Studios!